In a perfect world, there would be no humans living on the streets. But it’s not just people who are homeless. There are many animals living on the streets too. 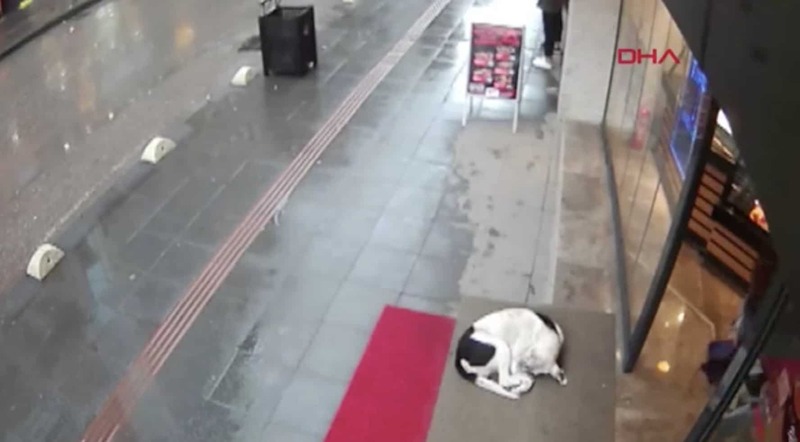 When a homeless dog was taking shelter outside a cafe, one woman couldn’t pass by. Many people may walk past a shivering animal on the street, but luckily there are some good Samaritans out there who want to help. 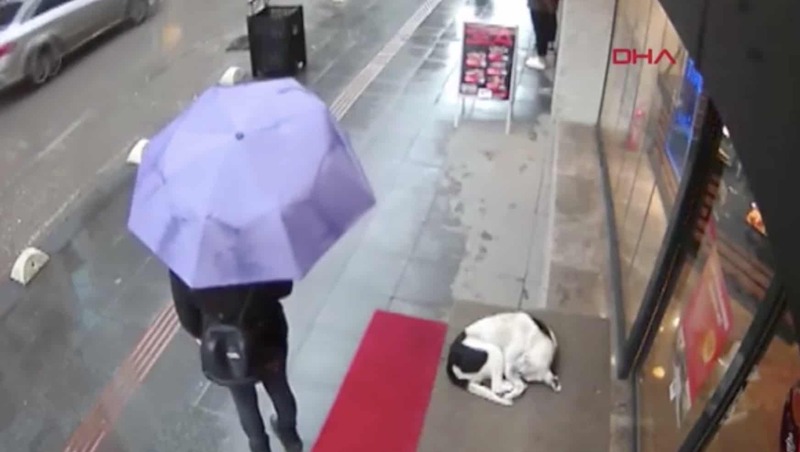 When a woman stepped outside of a cafe and into the rain, she noticed a wet and frozen dog taking shelter outside. But instead of walking by, she knew that she had to do something to help the poor homeless dog. She had no idea that a security camera captured her kind act. The mystery woman was leaving a cafe on a rainy day in Zonguldak, Turkey. Putting up her umbrella and preparing to step out into the rain, she noticed the shivering dog on the ground. The dog was trying to get as close to the cafe as possible to avoid the biting weather. You can see in the video the moment where she contemplates what she can do to help the curled up pup. What she then did is making hearts melt all over the world. The video footage of her interaction with the homeless dog was released across social media, print media and TV, and now everyone is praising her actions. Thanks to the footage going viral, somebody recognized the woman from the video as her friend Duyga Elma. 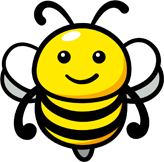 When Duyga found out that her kind act had been captured and gone public, she couldn’t believe it.